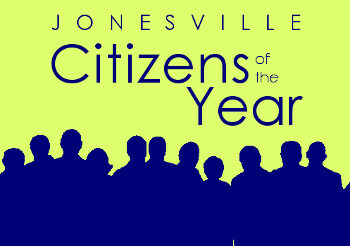 Annually, the City Council recognizes those adults and youths who exhibit distinguished and outstanding citizenship in serving the Jonesville community. The Jonesville Citizenship Awards recognize the contributions of citizens based on several aspects. including community involvement, leadership and volunteerism. Nominations are accepted at City Hall at any time, with recognition at an awards reception in the spring. Visit the Documents and Forms section of the website for a Nomination Form. Visit the Documents and Forms section for a Nomination Form, to view Selection Criteria, or for the Policies of the Citizenship Committee.